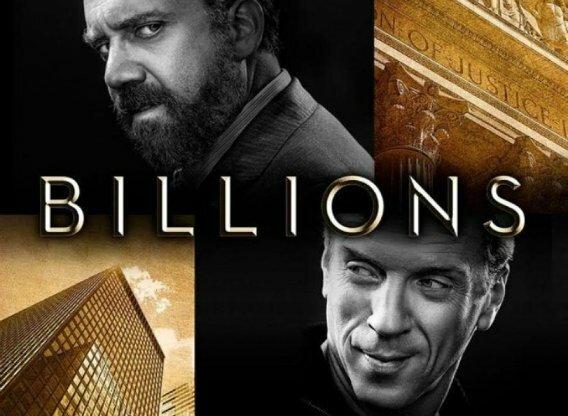 If you’re a Billions fan, you’ll be familiar with Bobby Axelrod, the ambitious American billionaire manager of a hedge fund called Axe Capital. You might also know that Bobby is played by the British actor Damian Lewis. If you had the choice, would you rather be a British billionaire or an American one? (That’s setting aside the difference in currency values, and how you might choose to spend your loot on either side of the Atlantic.) If you know your billions, you might well choose one over the other, and here’s why. In U.S., and increasingly in Britain: A thousand millions. In British English, a billion used to mean a million million (1,000,000,000,000 — yeah, 12 zeros). In American English, it has always meant a thousand million (i.e. 1,000,000,000 – only 9). So you would definitely rather be a traditional billionaire Brit. (Unless you don’t like money.) However, with Brits wanting to be more like Americans, they’re increasingly adopting the American definition, meaning that a billion now generally represents a thousand million on both sides of the pond. Now let’s take a trillion. A trillionaire Brit, say 50 years ago, would have had a million million million pounds. Or a million billions, in old Brit speak. But trillion to an American is a thousand billion — i.e. an old-fashioned British billion. Confused? Just count the zeros. Just in case you’re wondering, there are indeed words for the even greater millions to the power of x: quadrillion, quintillion, sextillion, septillion, octillion, nonillion and decillion are all legitimate words, although some of them aren’t even common enough to be included in the dictionary. At least not yet. Then there are other ‘-illion’ words that don’t refer to actual numbers, but basically mean “a Very Large Number.” Think jillion, zillion, squillion, gazillion, kazillion, bajillion, and bazillion. I wonder why we don’t have fillions — or willions? Was there a British word for a thousand millions, before they adopted the American billion? And let us not forget cotillion! That’s a very good question, Jim. I have no idea. I’m going to ask on Facebook!